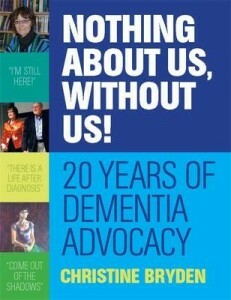 Book – Nothing about us, without us! 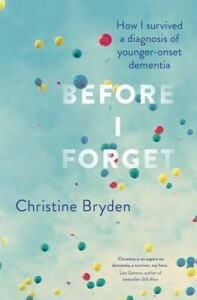 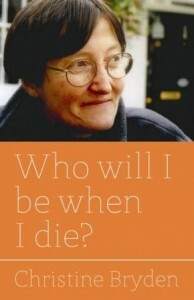 Advocating for dementia for 20 years, Christine Bryden has been instrumental in ensuring that people with dementia are included in discussions about the condition and how to manage and think about it. 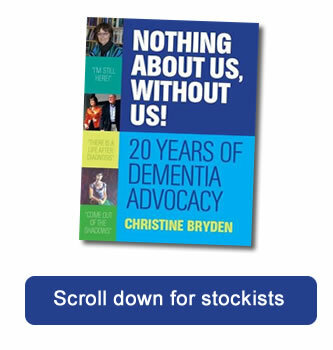 This collection of her hard-hitting and inspiring insider presentations demands ‘nothing about us, without us!’ and promotes self-advocacy and self-reflection. 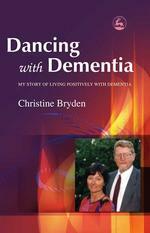 Provocative and insightful, the pieces included in the book address issues that demand attention, and will change the way dementia is perceived, and the lives of people with dementia and their families.